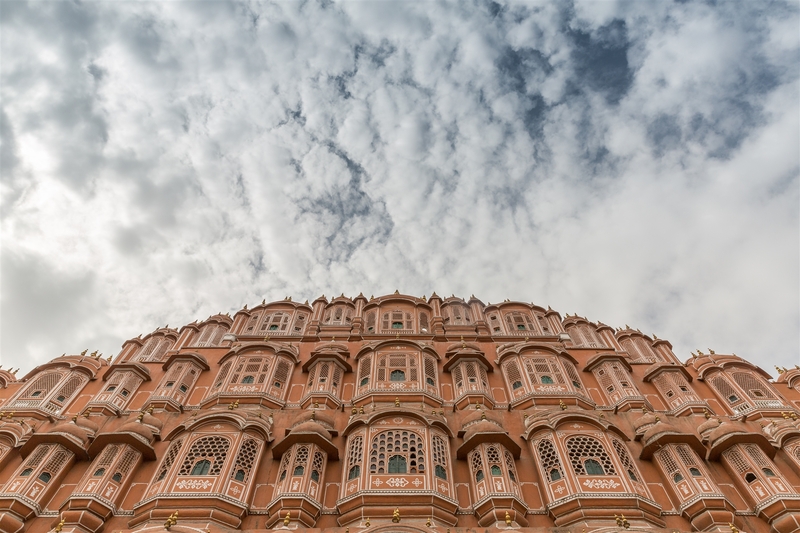 Hawa Mahal is likely to be one of your first destinations when you visit Jaipur, and who can blame you ? 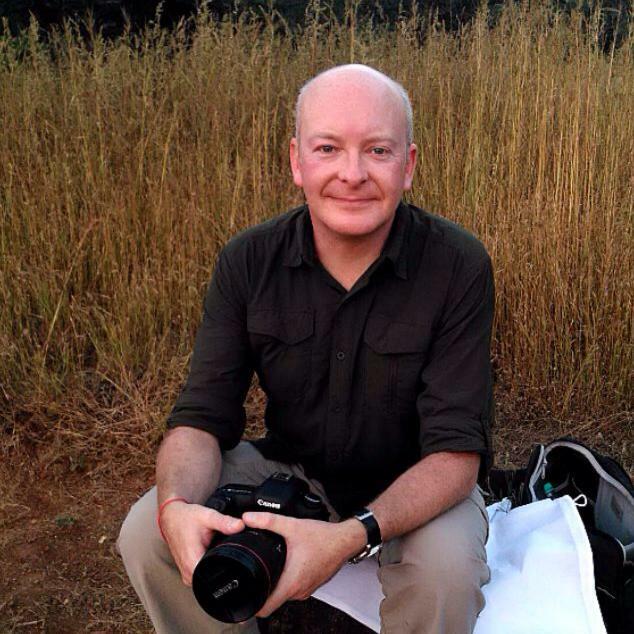 Located just around the corner from the City Palace, a short 5 minute walk to reach it whilst doing battle with the shop keepers camped out along the street. Many people settle for the obligatory selfie taken from the front of the building, but it’s well worth taking an hour out to view the interior. Finding the entrance is not easy; when facing the front of the building, go left and at the road junction turn right. 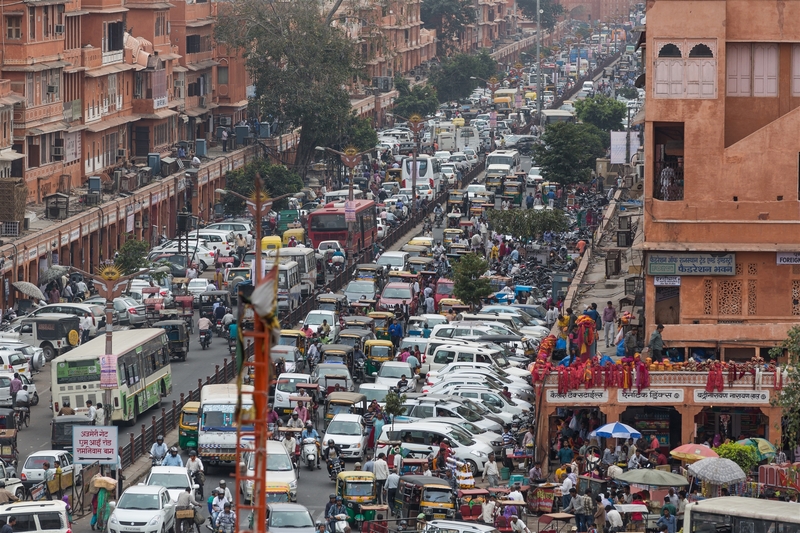 About 50m down that street is the gated entrance that leads to a courtyard behind the Hawa Mahal. 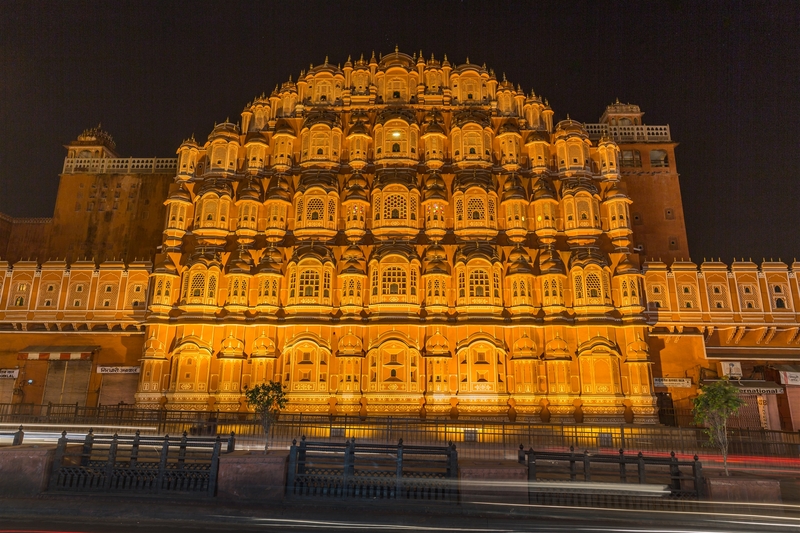 The structure was built in 1799 by Maharaja Sawai Pratap Singh in the form of the crown of Krishna, the Hindu god. Its unique five-storey exterior is like the honeycomb of a beehive with 953 small windows called jharokhas decorated with intricate latticework. 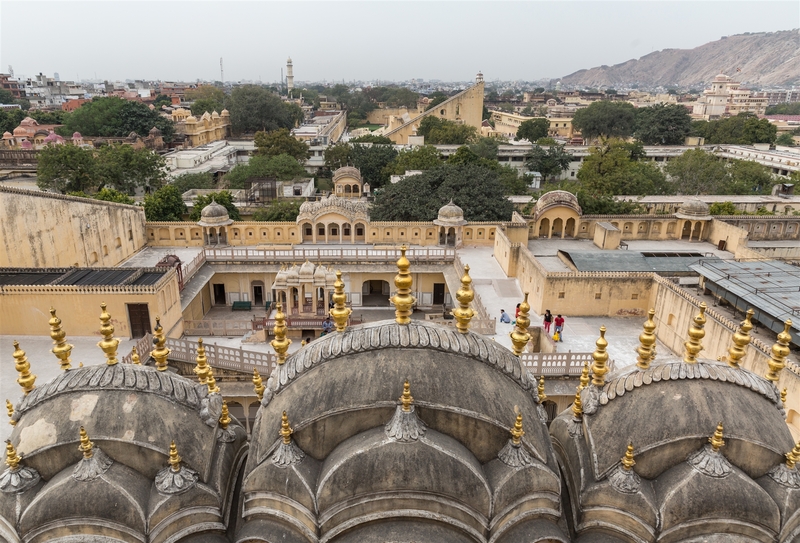 The lattice also allows cool air through the intricate pattern, air conditioning the whole area during the high temperatures in summers. Having scaled the heights of the building, head back down and make your way to the exit. Be sure to explore some of the courtyards on your left as you do this, there’s the odd decorative door that’s worthy of a 30 second pause. 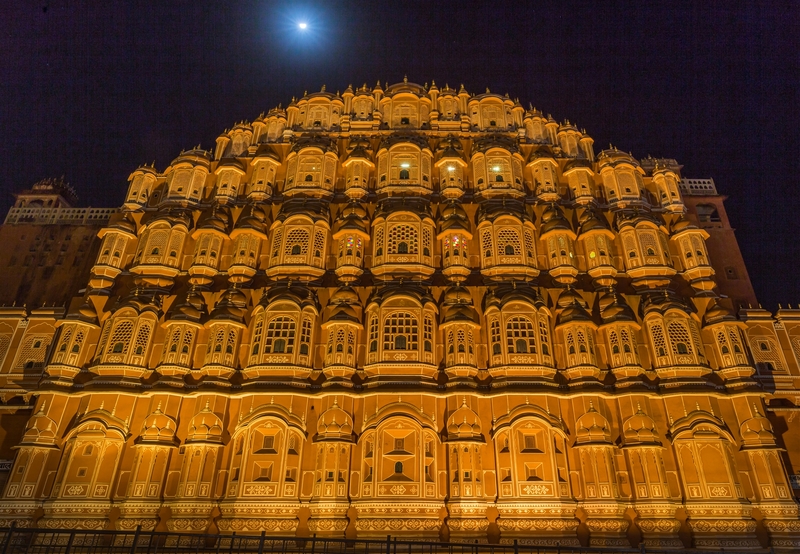 Unlike the Jal Mahal, the Hawa Mahal is illuminated at night and it is well worth paying a post-dinner visit. Obviously long shutter speeds are the order of the day in order to remove most of the traffic flowing past, so be sure to bring your tripod long. 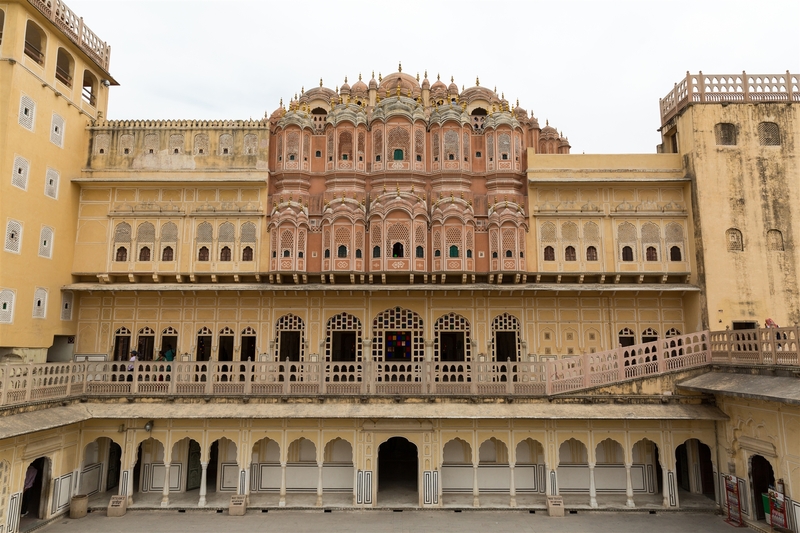 The best time to visit the front elevation of the Hawa Mahal is early morning (8am – 10am). I spent a good two hours here before the traffic built up, watching people pass by going about their business, I will post a separate blog about that shortly. 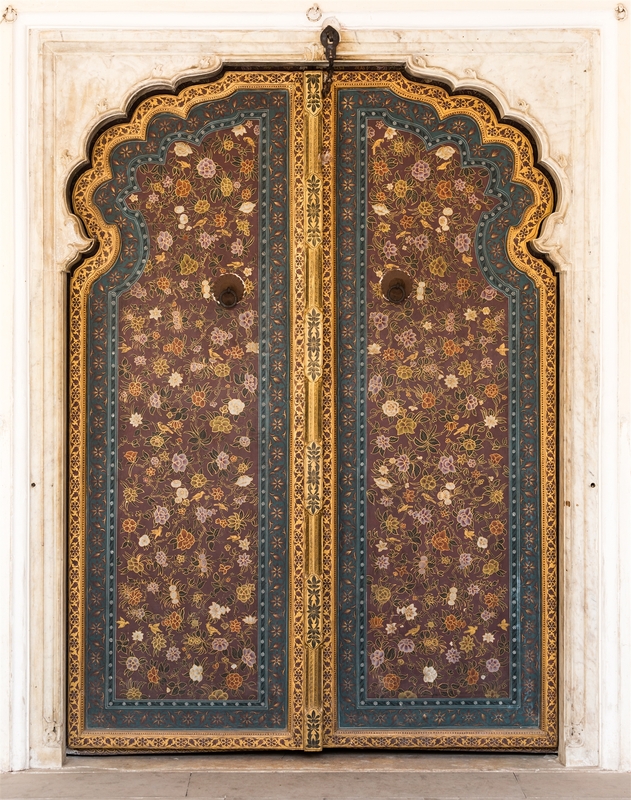 Hawa Mahal is open 9am – 4.30pm.